“Post-Apocalypto” — the series — is an original, six-part animated video series from the minds of TENACIOUS D. Each frame of every episode was hand-drawn by Jack himself, with every character voiced by Black and Gass. The series begins rolling out on September 28 via TENACIOUS D‘s YouTube page, with a new episode every Friday after that. 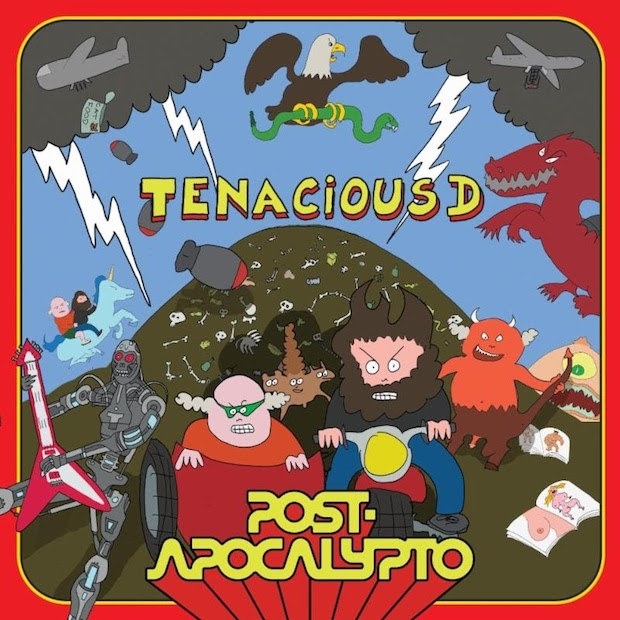 All six episodes feature new TENACIOUS D songs, culminating in a new TENACIOUS D album — also called “Post-Apocalypto” — released on November 2. 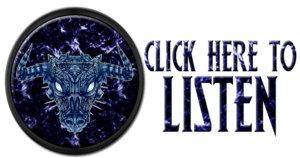 As each episode goes up, a song from that episode can also be heard via all DSPs. Produced by John Spiker, and featuring longtime collaborator Dave Grohl on drums, “Post-Apocalypto” — the album — is a genius addition to the D‘s already-scintillating catalogue of rock greatness. True to the title, “Post-Apocalypto” finds TENACIOUS D thrust into a world of complete and utter destruction following the drop of an atomic bomb. Surviving the attack in classic cinematic fashion (a good old imperishable 1950s refrigerator), the duo quickly learns that new forms of evil have spawned from the blast. One thing becomes apparent — for humanity to prevail, TENACIOUS D must save the world. With unimaginable twists and turns, an insane visit to the White House, a time machine, a space adventure, and the help of some tried and true daddy issues, “Post-Apocalypto” is as hilarious as it is political, and as brilliant and multi-faceted as its incredible creators. The songs are damn good, too. “Post-Apocalypto” (the album) will be available digitally, on CD, and on translucent green vinyl. There is also a limited-edition “Post-Apocalypto” vinyl picture disc that will only be available on the band’s online store.